Finished tableware in the gallery. 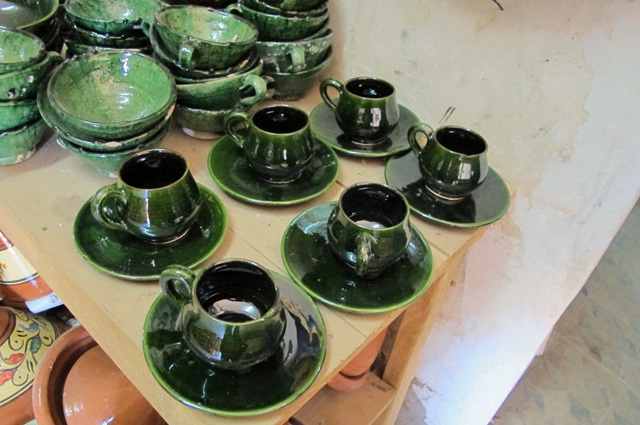 To the left are some much more rustic looking cups and bowls. The hotel we stayed in that night used these dishes. They were quite rough and would not be at all acceptable in North America but seemed to suit the surroundings. Evidently they were quite popular.